A Japanese clothing brand that upholds positive values through its designs and quality recently opened at SM City San Jose del Monte! 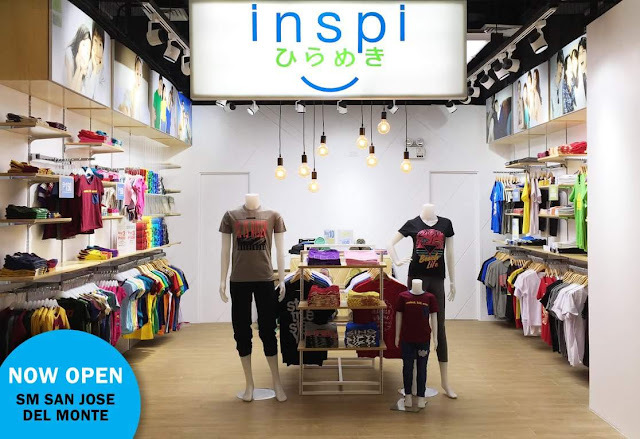 INSPI is located at the Upper Ground Floor of SM City San Jose del Monte. Positive. Polite. Clean. Honorable. Kind. Fun. These are the values that the founder of INSPI admires about the Japanese culture, and we cannot deny that Filipinos are also known for these kinds of values especially with being positive and motivated. INSPI designs develop, manufactures, and markets its own apparel from newborn to adult. Some of their products include T-shirt, Polo Shirt, Sando, and other lifestyle products.